Cape Town – Local film, Krotoa is conquering the hearts of international film lovers and critics. The film added to its growing list of accolades this past weekend by claiming its 8th award for the coveted title of Best Film at the Harlem International Film Festival held in New York. It has already received six official selections at international film festivals around the globe including the International Film Festival for Environment, Health and Culture, World Film Awards, Artemis Women in Action Film Festival and the Nashville Film Festival. 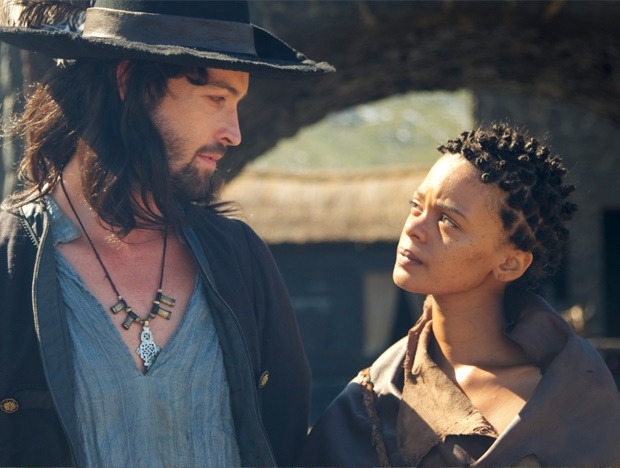 The film is inspired by the story of a feisty, bright, young eleven-year old girl, who is removed from her close-knit Khoi tribe to serve Jan van Riebeeck (Armand Aucamp ), her uncle’s trading partner. She is brought into the first Fort, established by the Dutch East India Company in 1652. There she grows into a visionary young woman, who assimilates the Dutch language and culture so well that she rises to become an influential interpreter for van Riebeeck, who became the first Governor of the Cape Colony. Krotoa (Crystal Donna Roberts) ends up being rejected by her own Khoi people and destroyed by the Dutch, when she tries to find the middle way between the two cultures. "In comparison to men, very few women have been acknowledged for having an impact on South African history. During the struggle, women like Ruth First, Lillian Ngoyi, Bettie du Toit and Sophia Williams-du Bruyn stood their ground in the fight against the apartheid government. However, if we dig into South Africa’s rich history, we discover that there were other indigenous females - who contributed to the change and development of our great nation – even before the sisters who were involved in the struggle," says director Roberta Durrant. The film will release in cinemas nationwide later this year.